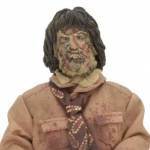 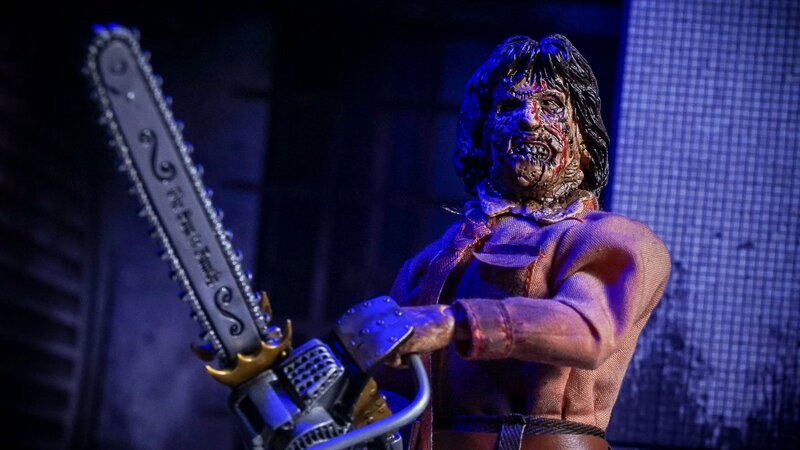 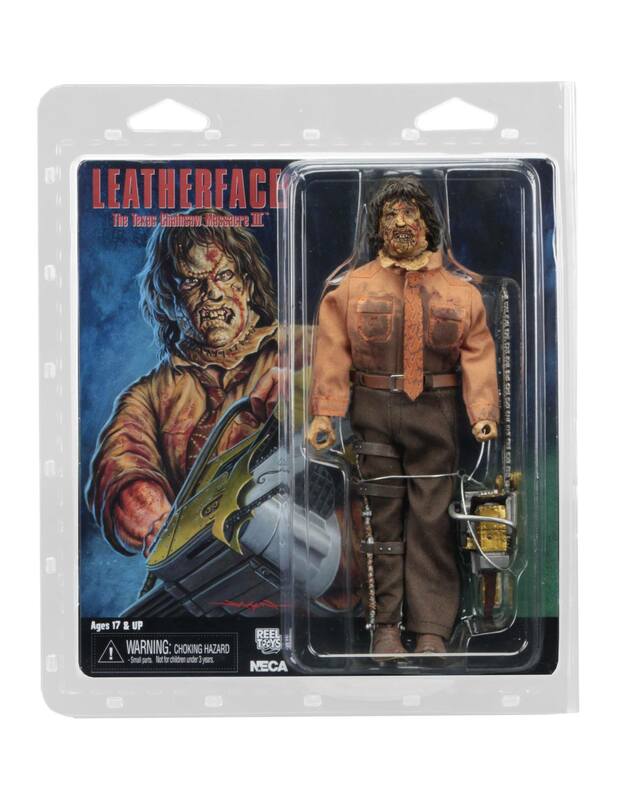 A new Leatherface: Texas Chainsaw Massacre 3 – 8″ Scale Leatherface Retro Mego Style Figure is coming from NECA Toys. 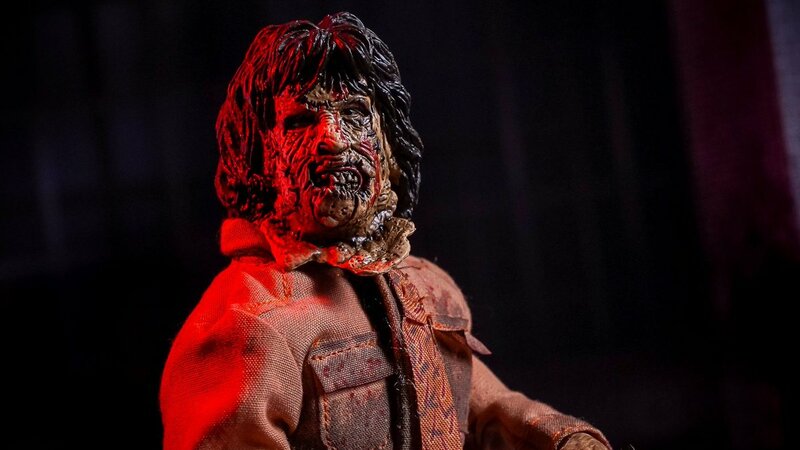 Bloody Disgusting has debuted the first images of the figure, who should be on display at Toy Fair 2017. 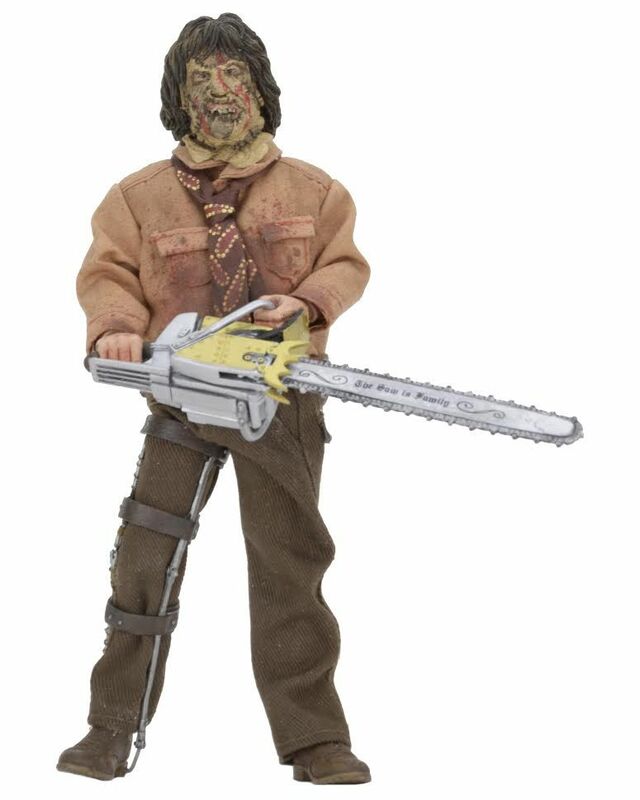 The figure is part of NECA’s retro clothed stule action figure line. 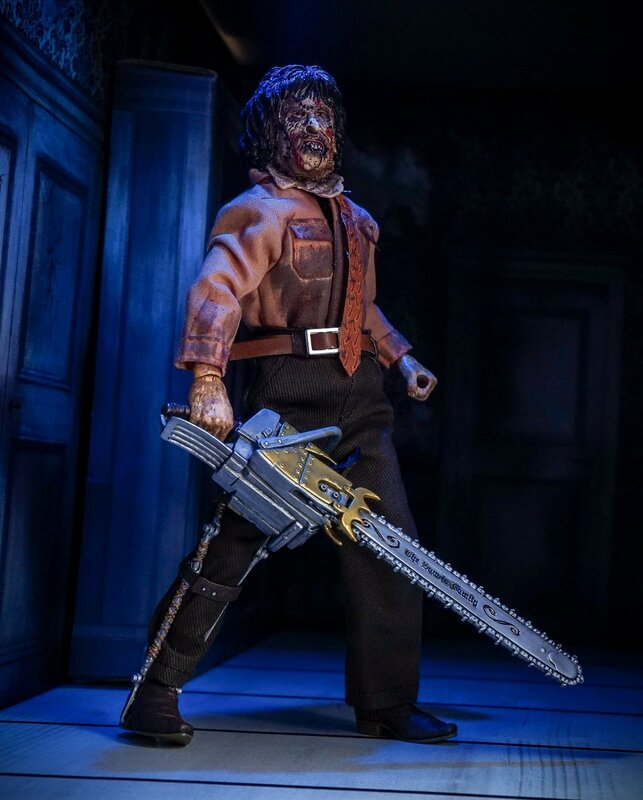 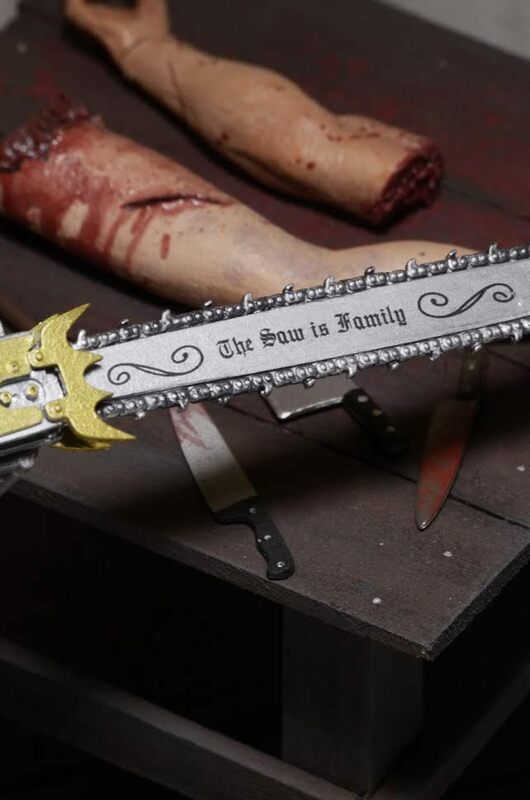 Leatherface will include his leg brace and his iconic chainsaw, complete with inscribed “This Saw Is Family” on the blade. 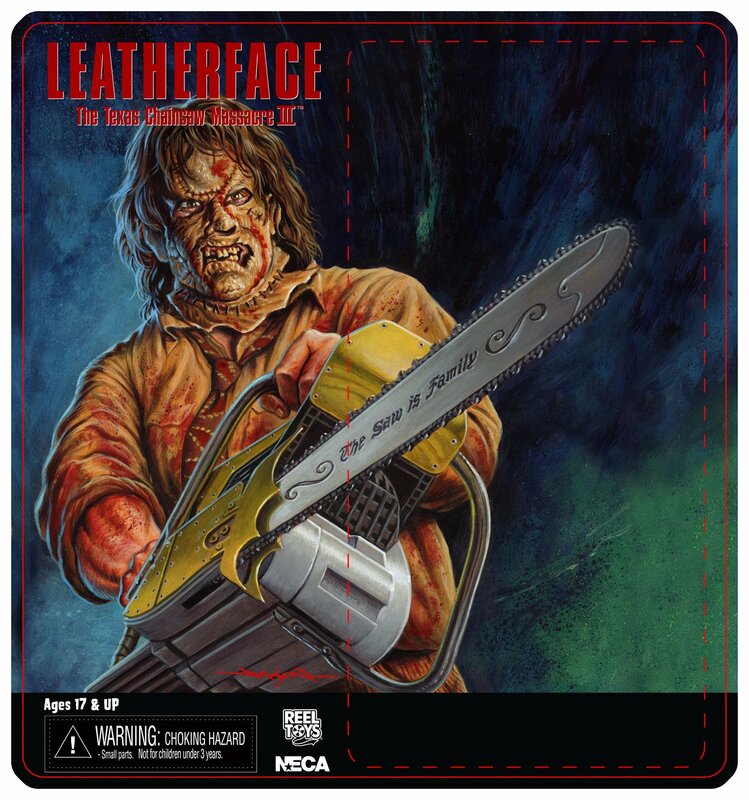 The packaging will feature art by the great Jason Edmiston.